Renault Kwid buy now and get a chance to meet Rannbir Kapoor. 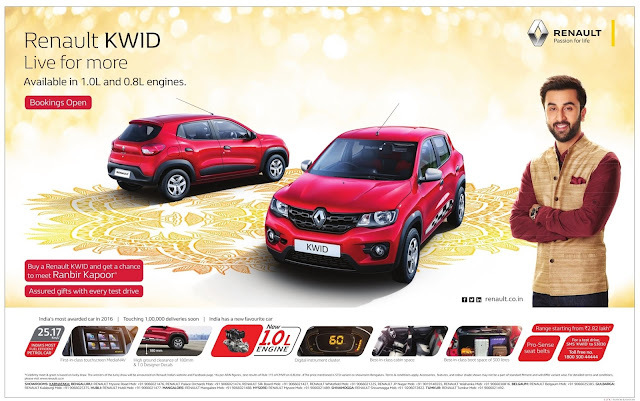 Assured gift with every test drive. 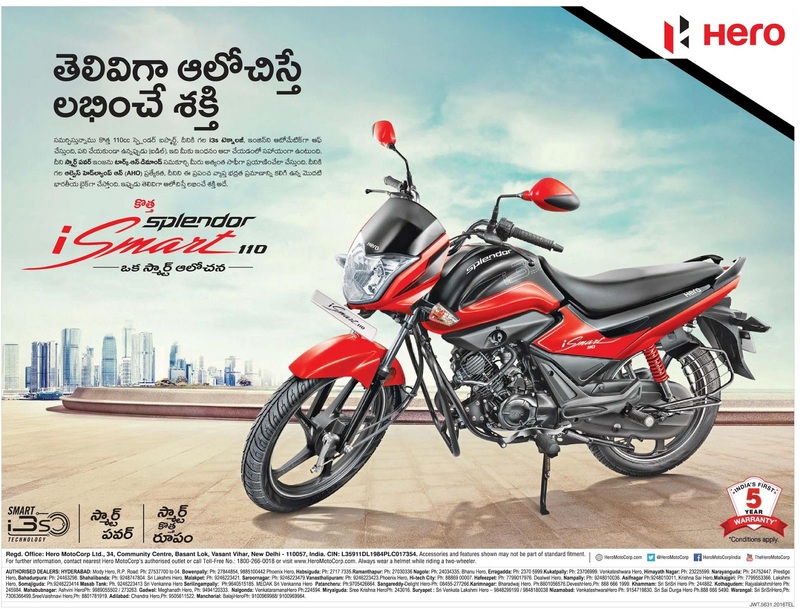 Now with 1.0 liter engine. 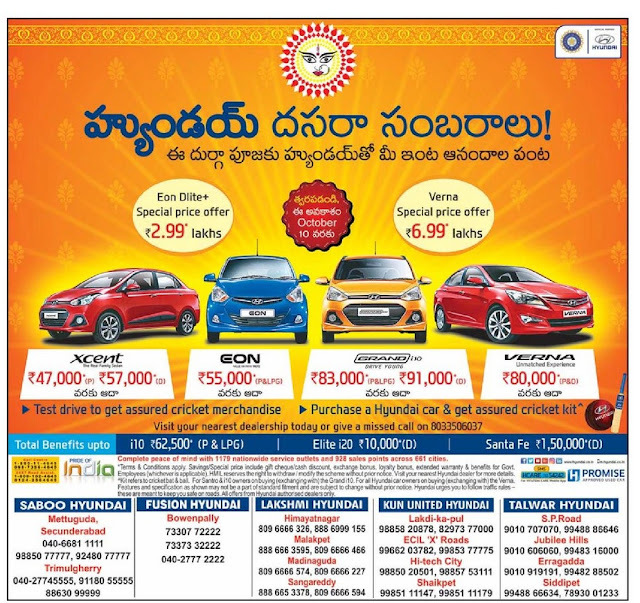 Bookings open. 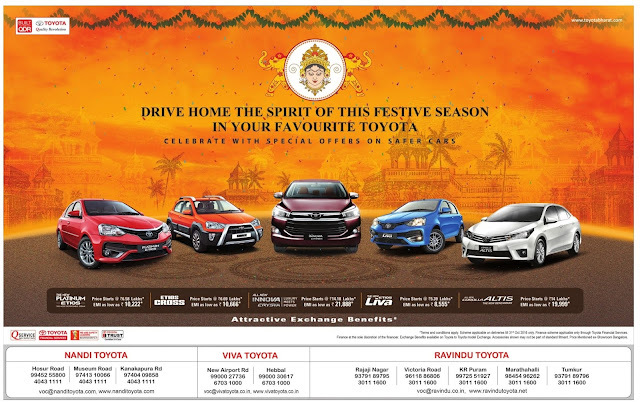 Drive home the spirit of this festive season in your favorite toyota, celebrate with special offers on safer cars. Platinum Etios, Etios cross, all new innova, Etios Liva, Corolla Altis with attractive benefit exchange. 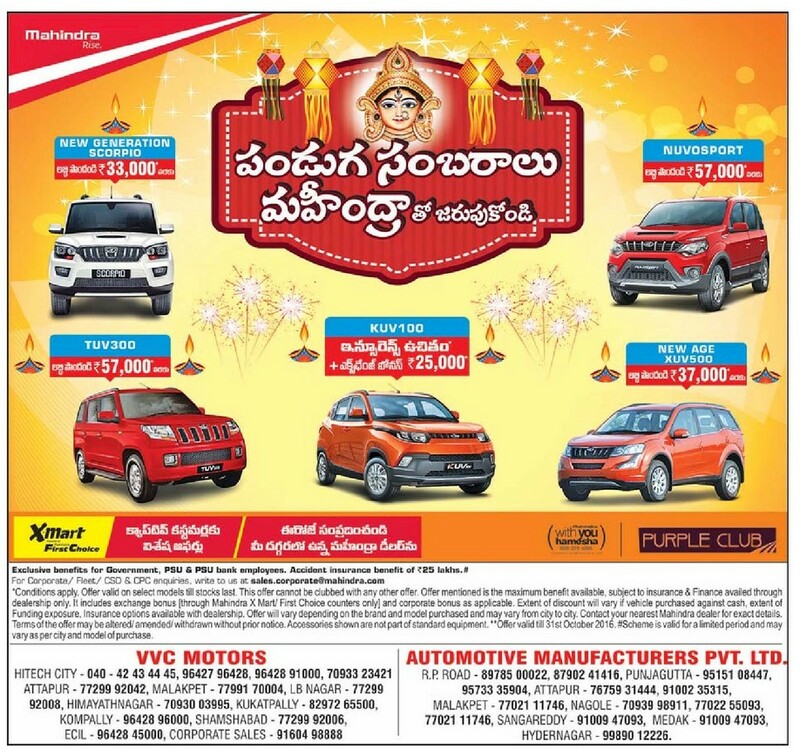 Maruthi Suzuki celebrations unlimited. Worth Rs 1 crore prizes to be won. Bumper prize swift. WagonR savings up to Rs 60,000, Alto savings up to Rs 45,000. 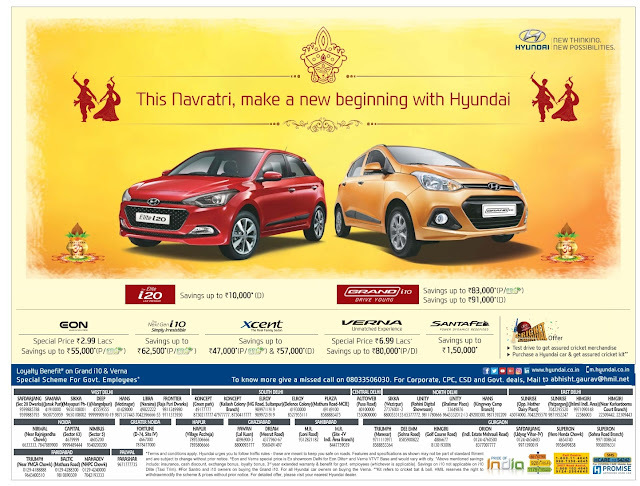 This Navaratri, make a new beginning with Hyundai. 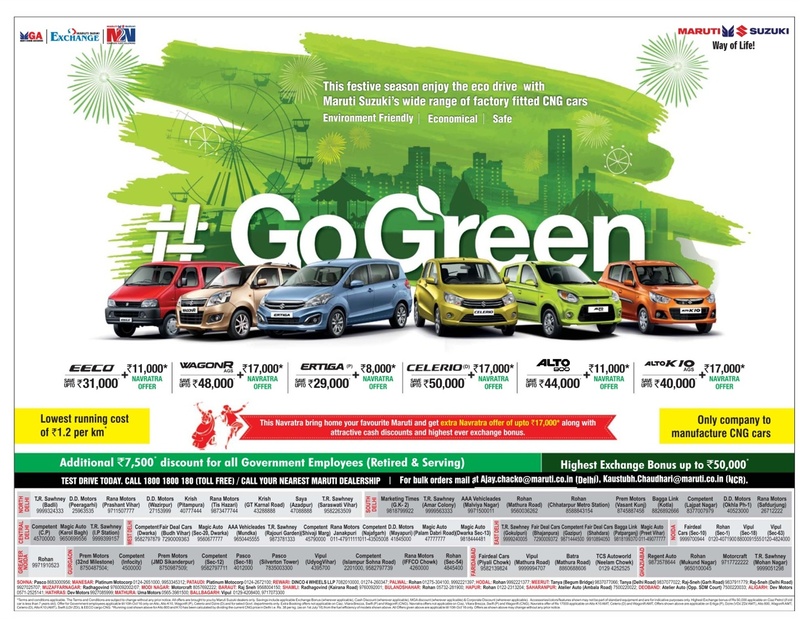 Maruthi Suzuki go green offers on EECO, WagonR, Ertiga, Celerio,Alto, Alto k10. Lowest running cost if Rs 1.2 per km. This navaratri bring home your faourite Maruthi suzuki and get Extra Navaratri offer of up to Rs 17000* along with attractive cash discounts and highest ever exchange bonus. 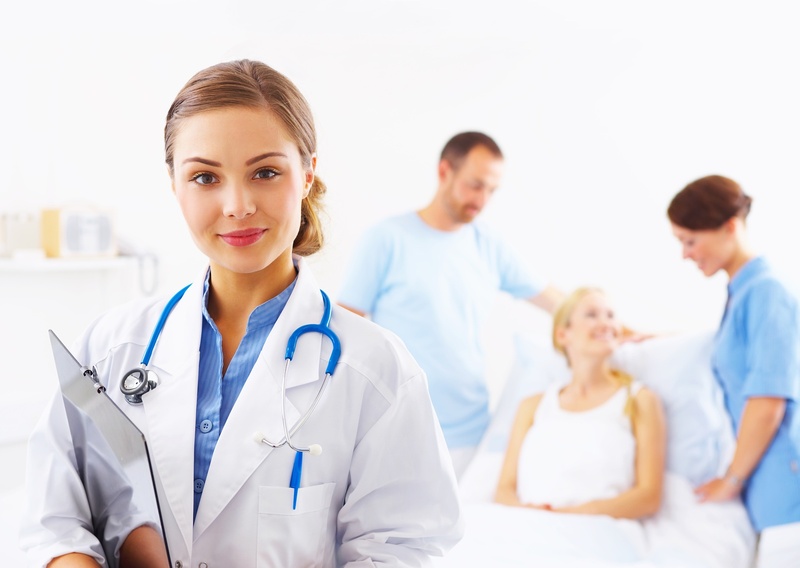 Additional Rs 7500* discount for government employees (Retired & Serving). 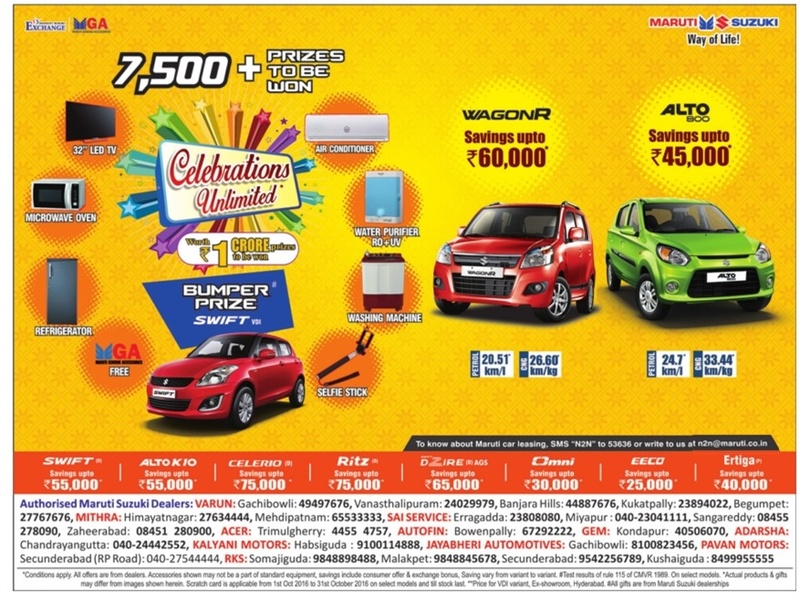 Higest exchange bonus up to Rs 50,000. Buy Reno cars and Get 2 grams gold coin. On reno range get up to Rs 80,000 offers. 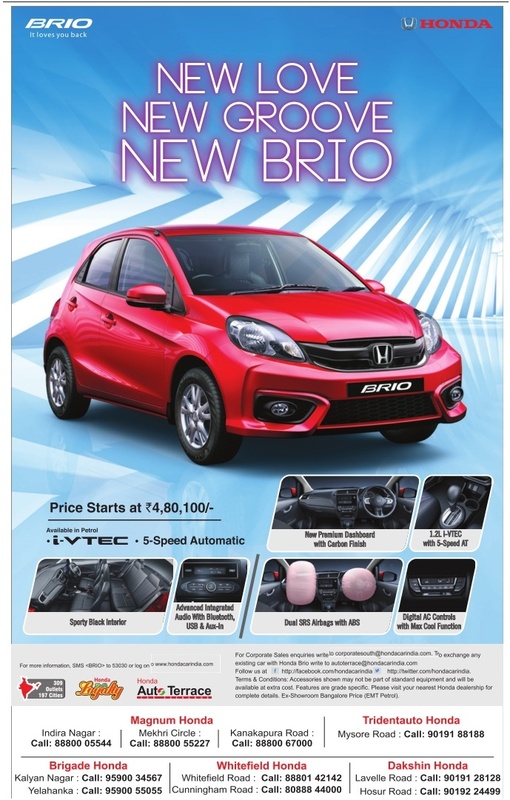 Honda New Brio face lift Edition. 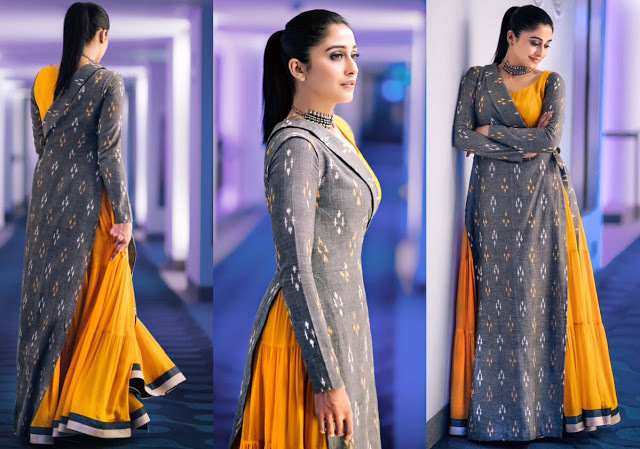 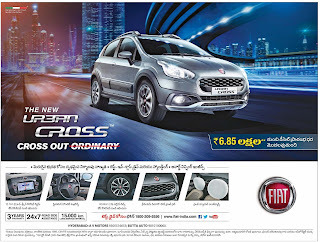 price starts at Rs 4,80,000. The Volkswageb Ameno Diesel is here. in Automatic DSG and Manual transmission. 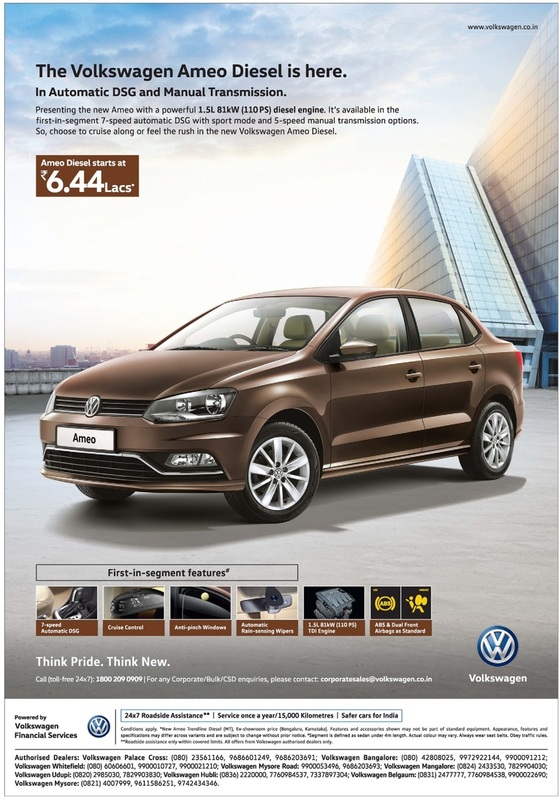 Price starts at Rs 6.44 lacs. Hero moto corp Dasshera/Dasar Diwali, Navaratri Festival offers r. 6.60% rate of interest and Get benefits up to Rs 2500*. 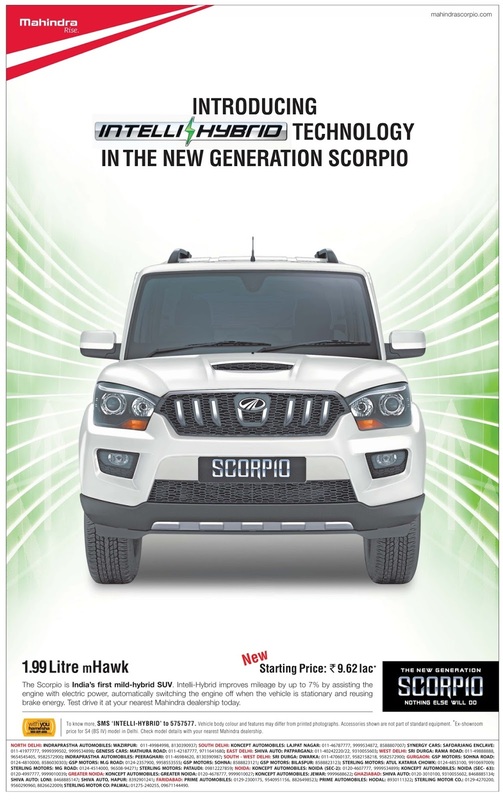 Free insurance. 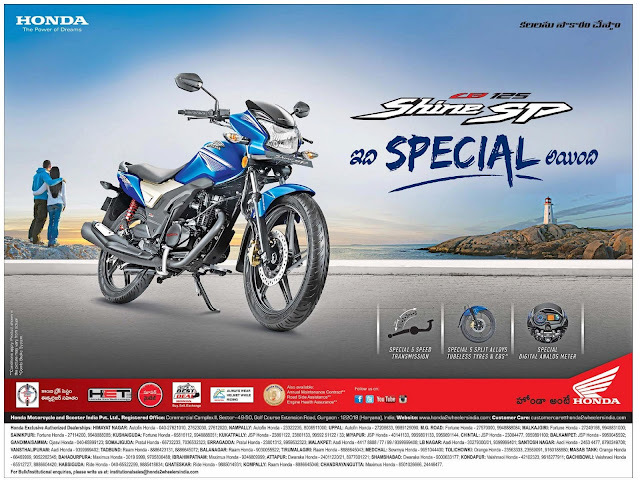 Honda shine SP became special now. 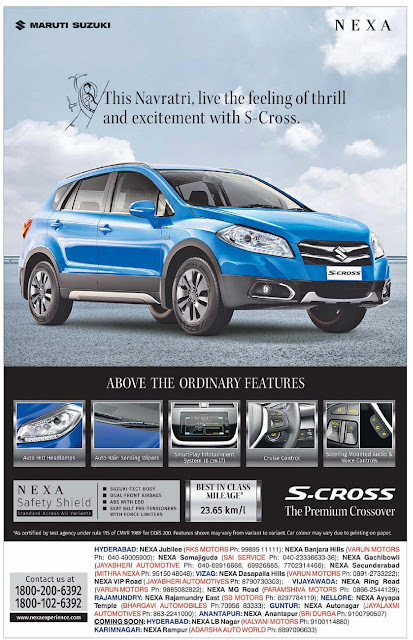 This Navaratri festival, Live the feeling of thrill and excitement with S-Cross. 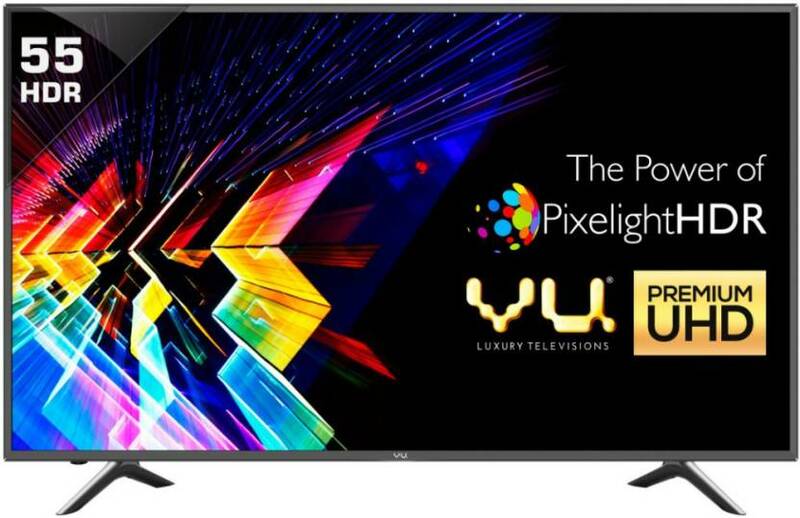 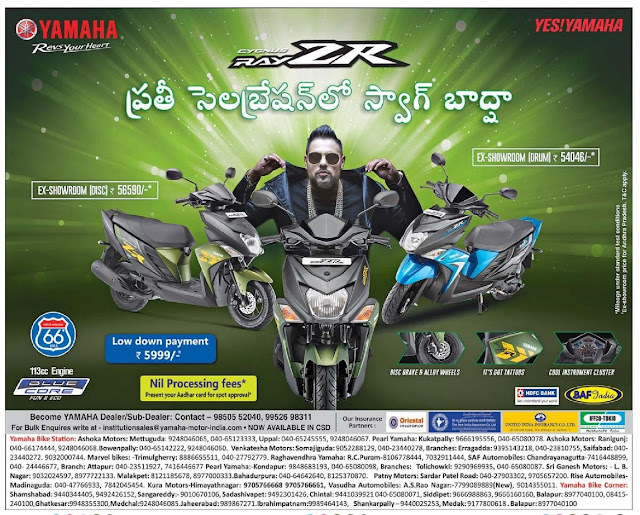 TVS Jupiter Dasshera/Dasar Diwali festival offer. 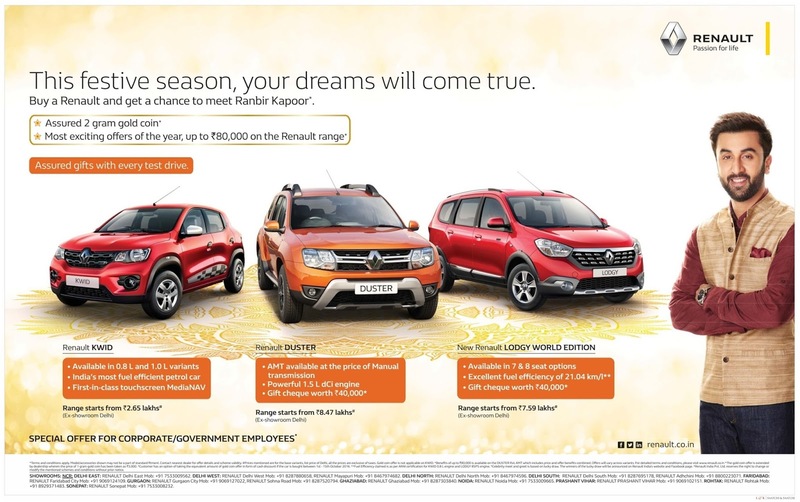 3.99% rate of interest and save up to Rs 3800*. 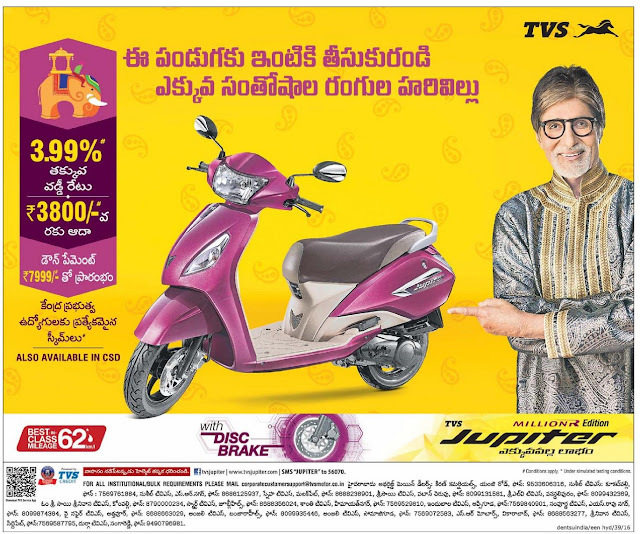 Lowest downpayment of rs 7999* Aso available in CSD. 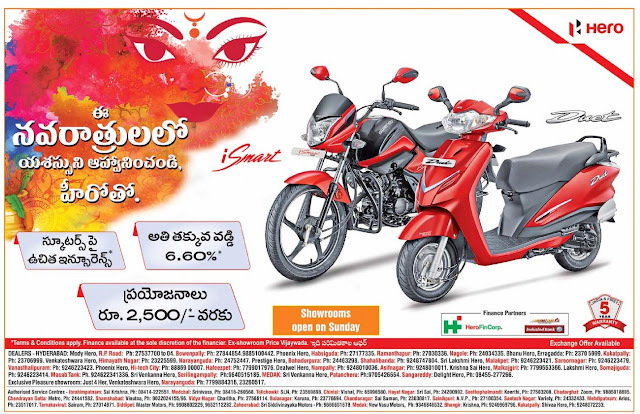 Suzuki Gixer and all new Access 125 Dasshera/Dasar Diwali, Navaratri Festival offers. Gixer lowest down payment of Rs 14,999 + 5 years free warranty. 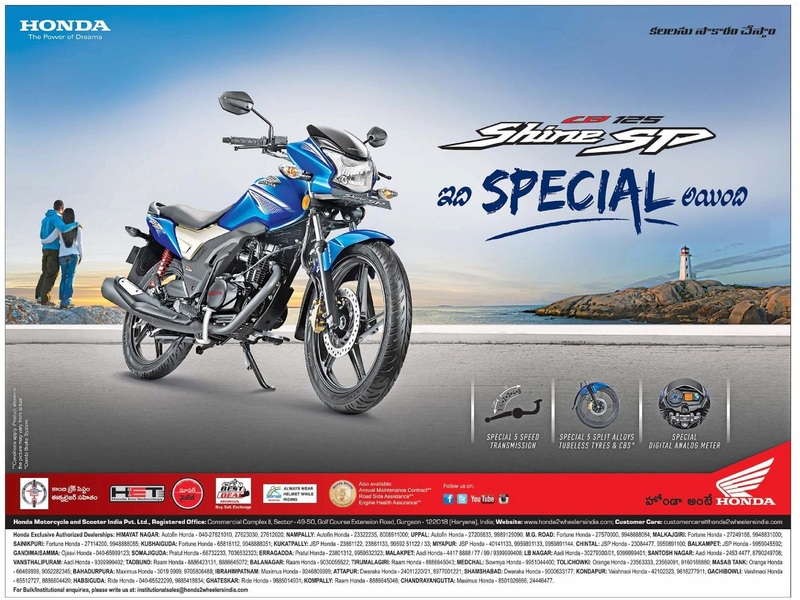 Savings up to Rs 3000 through PAYTM. 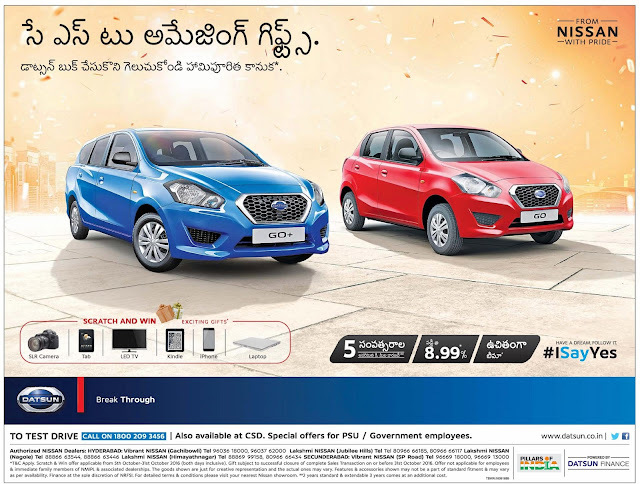 Government employees get loan of 95% with additional benefits.